Women and Children's Hospital (WCH) has been proudly serving the residents of Southwest Louisiana for over 25 years. We've made quite an impact in our community and are well-known for excellence in women's and children's health services. 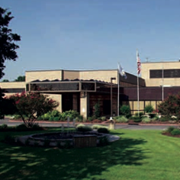 Since we opened our doors in 1984, WCH has come along way from only focusing on mom and baby to now offering a broad range of services including Inpatient and Outpatient Surgery, a 24-Hour Emergency Department, Intensive Care Services, Diagnostic Imaging and Physical, Occupational and Speech Therapies, to name a few. We also offer a Level III Neonatal ICU and have been recognized as a Bariatric Surgery Center of Excellence since 2007. You might say we're the NEW Women and Children's Hospital, but we still provide the same quality and compassionate healthcare you and your family has come to expect. With over 400 dedicated hospital staff members and more than 100 affiliated physicians who offer over medical services in 36 different specialties, we know we can provide the advanced healthcare you need. With beautiful natural habitats, fresh water marshes, scenic rivers, inviting sunsets on the lakefront, warm sandy beaches, coupled with smiling faces and warm hearts, Lake Charles is an inviting place to call home. There is a variety of dining, shopping, and entertainment experiences awaiting your enjoyment. Attractions include the Charpentier Historical District, the Port of Lake Charles, Millennium and Adventure Cove parks, 1911 Historic City Hall, and the Central School Arts and Humanities Center. Lake Charles possesses many of the appealing characteristics and qualities of a great urban center, yet maintains that "personable feel" of a smaller town. The City of Lake Charles is conveniently located off Interstate-10 between Houston, TX and New Orleans, LA. Our sandy beaches make up the shores of the Calcasieu River just 30 miles upstream from the Gulf of Mexico. Lake Charles is connected to the Gulf by means of a deep-water ship channel and is the seat and port of entry of Calcasieu Parish. 38 Denominations and 169 Churches exist in the metropolitan area, along with several more represented throughout the district.